Thank you for shopping online with March and Ash! Your business is very important to us and we will always strive to provide an unmatched experience. All orders are completed with a cash payment upon delivery or pickup. A photo ID must be presented at that time proving you are over 21 years of age. We will reach out to you after your order has been received to confirm your details and provide a delivery estimate. While we do provide free delivery to much of San Diego County, we require orders meet certain minimums in order to qualify for our delivery service. 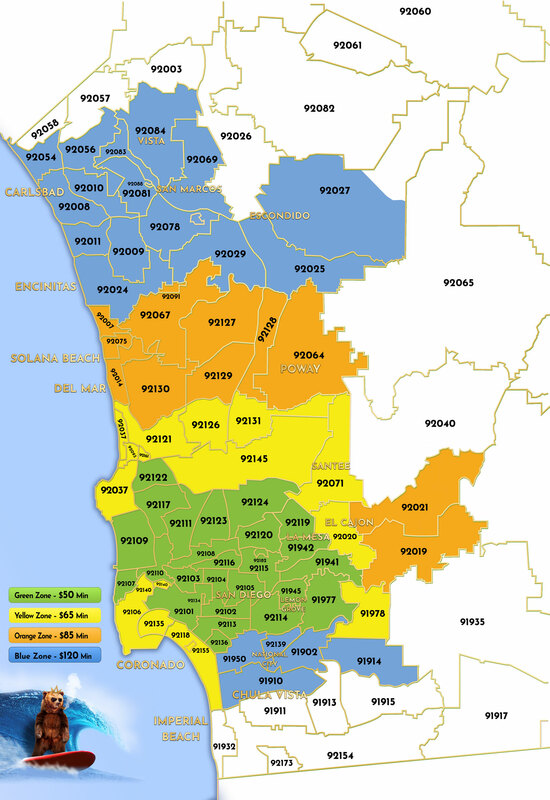 Map may not include or reflect all cannabis delivery zones in San Diego County. Ask dispatcher for full delivery area details. If you reside in a zip code that is split into multiple zones on the map, ask the dispatcher for order minimum details as these areas span a larger distance and may fall into multiple order minimum areas. And of course, you can always place an order of any size to be prepared for pickup from March and Ash. If you have any questions or concerns about your individual delivery needs, please give us a call at (619) 31-GREEN.